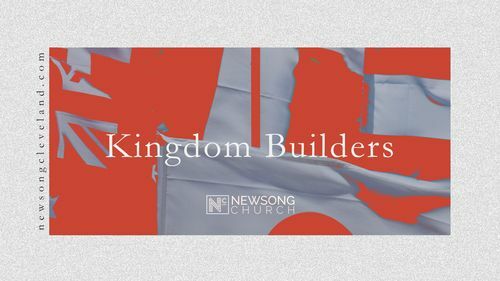 Kingdom builders is a strategic initiative to prayerfully seek what role God wants us to play in building His kingdom. Kingdom builders is a strategic initiative to prayerfully seek what role God wants us to play in building His kingdom. The Bible shows us that Jesus gave all He had to reach the lost—and that there is no greater love than this. He asks us not to hold back in our own sacrifice for the Kingdom. Our focuses this year are missionary support and relaunching a culture of missional living here at New Song Church. Praying for missions efforts in your heart and at NSC. Supporting missions efforts through your time and talents at NSC. Giving financially over and above your tithes towards partnerships with missions efforts both locally and globally. Going into the missions field either on short term mission trips and/or fulfill a full-time calling as a missionary. 2019 has already been a year of great clarity for us at NSC as we continue to focus on all that God wants to do in and through our hearts. Your consistency in tithing to New Song Church and sacrificial and over-and-above giving towards missions helps us make a difference in our church, in the city of Cleveland and around the world. It is still all about the heart and all about people, one at a time, changing lives for eternity.